VISIT AAL @ BB US 2018 & WIN SOME HOUSTON HISTORY! 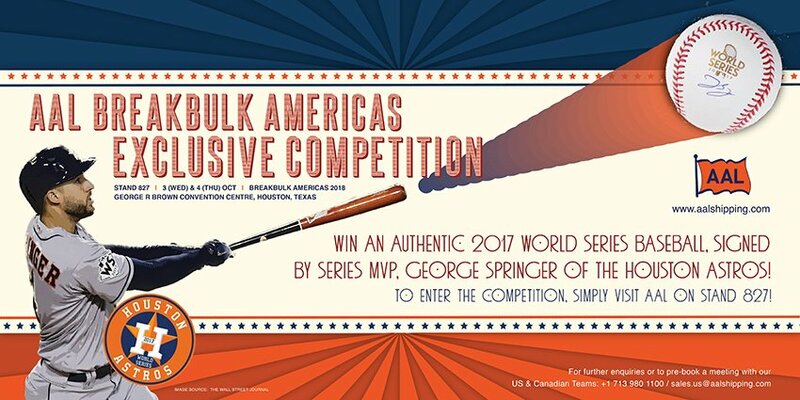 WIN a limited-edition 2017 World Series baseball, signed by Houston Astros MVP George Springer. Executed with optimum efficiency and safety, AAL has performed a 3-month off-shore pipe haul and ship-to-ship (S-T-S) operation for the Greater Enfield Project – a subsea oil production project located in Exmouth, Australia. On behalf of TechnipFMC – global leader in subsea, onshore, offshore, and surface technologies – multipurpose operator AAL has completed a 90-day ‘one-ship-solution’, to deliver pioneering Thermotite ‘ULTRA’ subsea pipes and other subsea equipment to the ongoing Greater Enfield Project, a development of subsea oil production and water injection wells located 60km north-west of Exmouth, Western Australia. The cargo was loaded onto the AAL Nanjing (19,000dwt, S-Class MPV) in Kuantan (Malaysia) and Tanjung Langsat (Malaysia). The vessel was mobilized from Singapore where a tailor-made accommodation block was installed in Jurong Port to host a group of specialist offshore marine construction workers, TechnipFMC’s own team and additional AAL Superintendents and personnel – all of whom remained onboard throughout the entire operation. Having been awarded this key scope of the project, AAL’s solution took 3 months to plan and met the strictest standards of safety and environmental compliance. 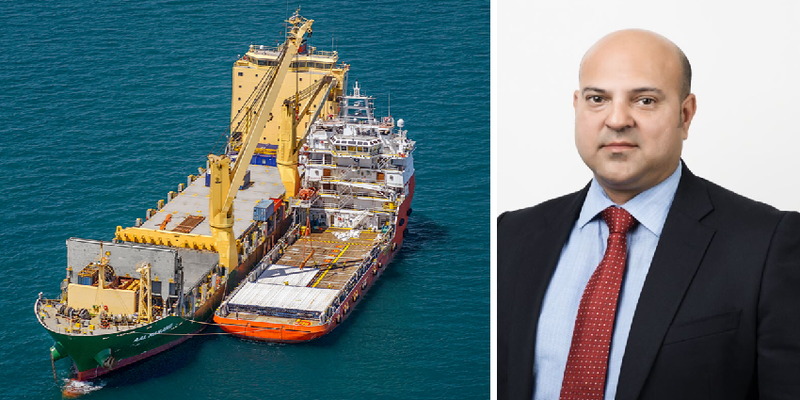 It involved the AAL Nanjing operating offshore in the Exmouth Gulf for 71 days, transferring cargo ship-to-ship (s-t-s) to two Platform Supply vessels (PSVs) and herself initially interacting with Technip’s Pipe Layer / Installation Vessel G1201 at the commencement of the offshore campaign.